When you are baking cakes and pies, don’t wash laundry, even a machineful, at the same time. Once you go to hang the clothes on the lines outside, rest assured, a neighbourhood lonesome will scent you down. Usually she is an elderly lady with a rampant need to share her medical history. By the time she wraps it up by blurting “my death is inevitable”, the laundry will be dry. Your baking, on the other hand, will be nudged out of schedule. It happened to me when making a pie on my husband’s birthday. Avoid the above especially if you are a food blogger with an obsession of photographing everything that comes out of your kitchen. Whether you are at the age of having hot waves or not, I guarantee, you will drown in sweat. You will make mistakes. You will create an irreversible mess. And your ears will be ringing by repeatedly more impatient inquiries by the door: “when will you be ready”, “how long will it still take”.... Oh, men can be such kids. If you have kids on the top of that, good luck! May the force be with you. My mistake was that I used wrong flour. I buy organic, freshly milled flour that is packed in white paper bags. All the bags look identical. Because I had no time to read the text, I grabbed cake flour instead of all-purpose. It worked ok, but was difficult to handle because of low viscosity and starch. I recommend regular white flour. 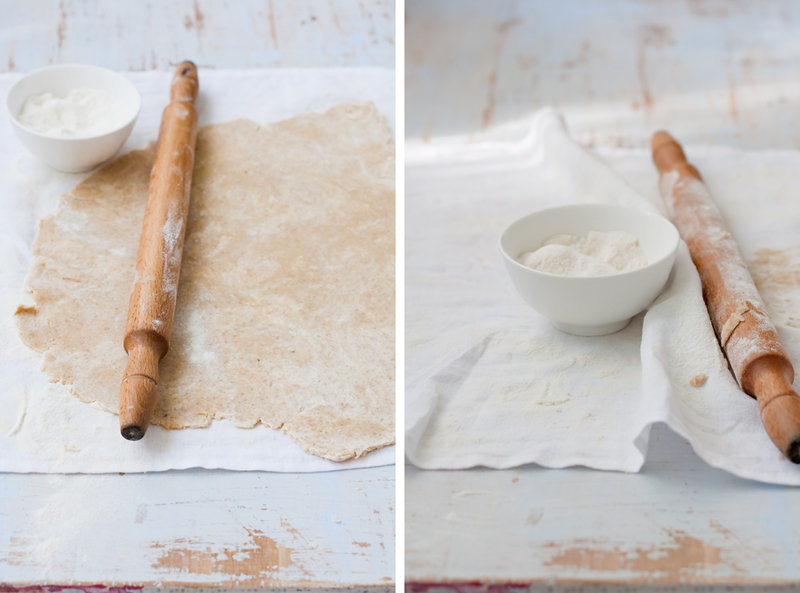 It should make pliable dough that is easy to roll. Because I hate using refined flour (it has become such an insurmountable representative of devil in my mind that I’m wondering whether I’m in a need of therapy) I cut the amount in half by substituting it with rolled oats and full-grain spelt. It was a good choice for a rustic crust with a stronger taste and character. If you want your pie to be delicate and sophisticated, use only white flour and eat it without regret. Although there are quite a few steps, the pie is easy to make. Dark chocolate and cheese-caramel filling combine perfectly, the first being sharp and the latter soft and sweet. Notice that the filling will turn solid when placed in cold. It makes the pie less moist. It is best served in room temperature with a good dab of whipped cream! Just to be sure it is not too dry! Fresh blueberries are wonderful. If you can’t get hold on them, you can use jam. Modify the amount of sugar accordingly. I made two pies from the dough. One was shallow and the other deep. I filled the shallow one with caramel, blueberries and whipped cream. It was super-sweet! Instead of cultured buttermilk you can use yoghurt or lemon to separate curd from whey. 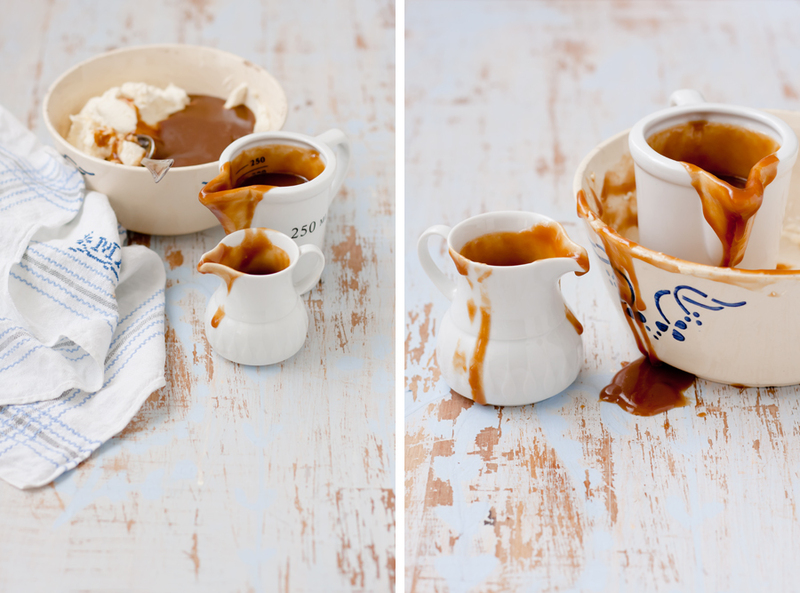 If you are not sure when the caramel is ready, place a drop or two in ice-cold water. When it solidifies and forms a clean ball, it is ready. If it scatters or dissolves, cook some more. When all is done and said, wash laundry! Hunt down the lonely neighbour lurking by the backyard. Offer her a sumptuous piece of pie, listen, console and give her your jolly company! Let the sugar talk! May the force be with you? :D I know that one so well. Istart doing something in the kitchen that needs all my concentration and the phone will ring, someone will knock at the door, there will be mail delivered........ !!! As usual, I love you pictures. Is your metal cale stand a a plate on an overturned bowl? Beaytiful. Yes, Aparna, it is like a spell: once you step in the kitchen, there will be thousands of distractions. The metal pot is where I keep the laundry pecks :-). Maybe it was a good idea to wash laundry while baking, after all. Oh God, how many blueberries!!!!!! I want to live in your forest!!!! It would be perfect for my snack! congratulations, Hello! Lovely pictures as always. You must have one pleased as a punch neighbour at the end! Sure she isn't pouring out woes after seeing something cooking? Interesting recipe Lakshmi. Can I replace the fresh cheese with fresh ricotta or cream cheese? Pick Yin, cream cheese and ricotta are basically same stuff as the cheese made here. When you make it yourself, you get a large quantity very quickly. Home made is always fresh, and fresh is always better :-). But yes, you can replace it. 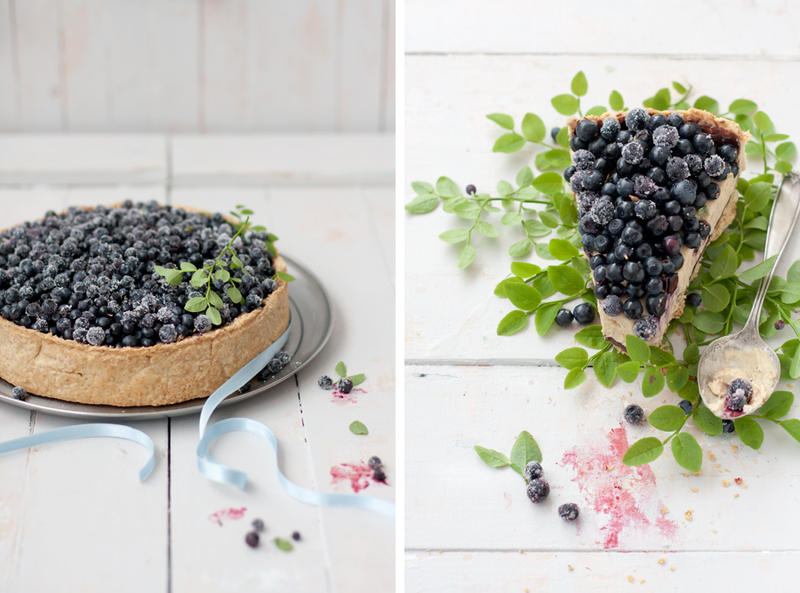 Oh what a wonderfully original blueberry pie! I never imagined all this goodness was hidden underneath that beautiful pile of wild sugared blueberries. Your husband is one lucky birthday boy! I know exactly what you mean about time running away from you when you have plans to bake. In fact I'm running late on making a cake right now and I don't even have a neighbor to place the blame on ;p.
OMG! How many bluberries!!! And this pie is absolutely a miracle! :) Lovely pictures as usual and the cake is so perfect. Congrats! Och and Happy Birthday to your husband. He has to be very patient man. Waith for you to bake the cake and take all those photos? It takes ages when I do it. My husband would never survive it at least not on his birthday. Love photos. The one with the cake in it's full glorie is the best. Looks delicious, loved the blog AND photography! Thanks Lakshmi. I'm fully aware homemade is better, and much cheaper too. The problem is we don't go through a lot of cheese really because my partner is the only cheese lover in our equation. Thanks for the wonderful recipe! Oh Lakshmi, your photos are just enough for me to set aside whatever I am doing and go dig my head in the refrigerator to find what I have available for that recipe :-) SO good! So So good! Its always a treat to visit your blog! Happy birthday to the other half lakshmi.....this blueberry pie has so many wonderful hidden layers. such a treat as are the pictures! 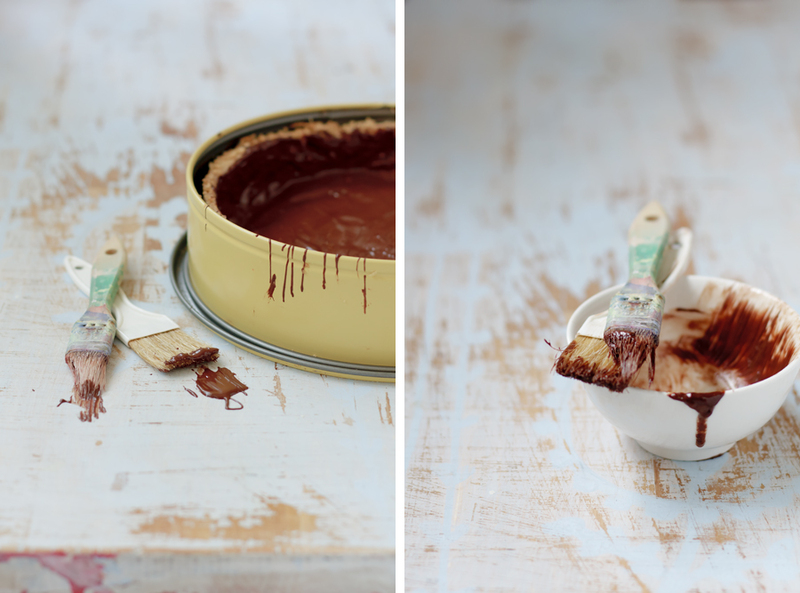 and im loving the makeshift pastry brushes! Thank you! You are such kind and encouraging persons! Sukhaina, the white brush is actually for pastry. The other one is probably deadly toxic! Nobody needs to know :-) Had I used it for the cake, it would've been my husbands last birthday! A wild blueberry berry pie! I don't even get the domestic ones here :) Love the clicks, so gorgeous and dreamy. happy birthday to your husband Lakshmi :) Always enjoy seeing these recipes you create and every time make it look so soft .. like a dream land. OMG, you take so beautiful photos!!! ohh next time you should just say "shushh for sometime and I can give you a slice of the most awesome blueberry pie" That should take care of it. But yeah, totally get it. Distractions are just waiting for you to step into the kitchen and take you camera out :) Splendid pics as always. That pie looks so delicious! Your husband is one lucky birthday boy! 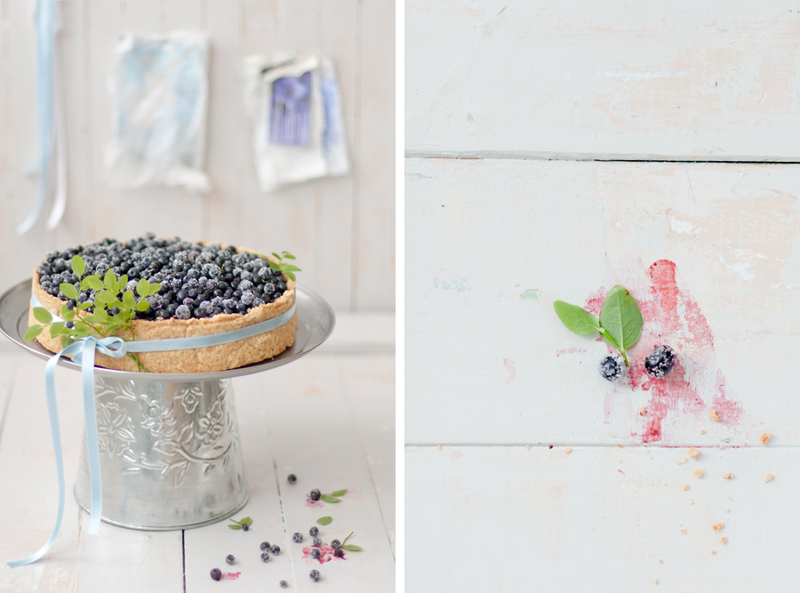 I love your photos, simply stunning, and the caramel and blueberries look so delicious! Beautiful!!!!! amazingly beautiful pics girl, the pie looks delicious.... It is a blueberry heaven. Thanks for sharing this one. What a beautiful post! Stunning photography and a charming pie. Thanks for sharing! Oh, looks absolutely great! Stunning photography!!!! Wow, this must be the most beautiful pie I've ever seen! I just found your blog via pinterest and I'm so happy I did! Your recipes look perfect and your photos are beautiful! Your pictures are beautiful!! And so is the birthday cake- I am sure the hubby felt very lucky and special on his day! The picture with the uncut pie is seriously the best picture I've ever seen. I saw it on your Flickr account last night and thought about it a long while as I was walking to the train stop. And then I thought about it some more and had to visit your site again. The picture just screams Swedish summer (I've lived in Sweden, but never Finland) and everything else that is right with the world. I guess that's a bit silly but it's just amazing and I don't know what else to say. Erin, summer in Finland & Sweden are similar. Except that it is a tiny bit nicer in Finland :-)! Sorry to hear, Svetlana! I made this pie three years ago and don't remember details anymore. It seems that I've used rolled oats in the recipe, which you seem to have left out. Usually butter and sugar makes dough to expand (or collapse) in the oven. There is no sugar in this recipe. I would think if you omit oats (which absorb a lot of fat and liquid), you should perhaps use less butter: for every 1 Cup (250 ml) flour, use about max 80 - 100 g butter. Also, use only as little water/cream/any liquid as necessary to hold the dough together. It shouldn't be wet! It looks like the recipe makes two pie crusts. Sorry I can't help you more. Thanks anyway for beautiful and breathtaking inspiration! Your pictures are so wonderful! Oh, I'm so sorry! There is also a blind baking method which I forgot to mention. You line the crust with baking paper and fill it with beans before placing it into the oven. It keeps the crust from rising or collapsing.